Springtime recitals arrive and the dancers take to the stage with full scale mounted performances. The Junior Company, ages 3 to 10, present themed performances, danced to music appropriate for their ages. The Senior Company presents elaborate, themed performances, displaying all forms of dance including ballet, lyrical, tap, and jazz. The proceeds from the performances benefit local libraries and the Moscow Senior show benefits the North Pocono High School Awards program. Please check the Multimedia section above for video and photo samples of these performances. Aside from the usually scheduled Junior and Senior Company performances, several events take place during the year that we capture with photographs. 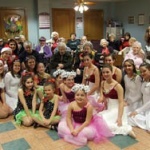 At Christmastime, our dancers perform for local nursing homes and assisted living residences for the elderly. Later in the winter, our voluntary raffle is held at the Peckville studio to support the upcoming spring performances held at the Scranton Cultural Center. Early spring arrives and tickets go on sale for the Recitals. Parents line up to get the best seats. Come summer, the more advanced dancers participate in our “Summer Intensive” ballet and jazz classes. The dancers work hard in the summer heat to be rewarded at the end of the course with Master classes in N.Y.C. The final event of the day is a visit to Little Italy for a great meal and shopping for HANDBAGS! Later in August, a lecture demonstration about dance was held at the Moscow Public Library. 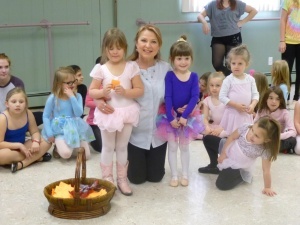 Dancers presented costumes, shoes, dances and exercises for the children who attended a storytime reading about Dance. September arrives, new classes form, and we start all over again from the beginning. Please feel free to select the multimedia section in the menu at the top of the page for further pictures of the above mentioned performances and benefits. 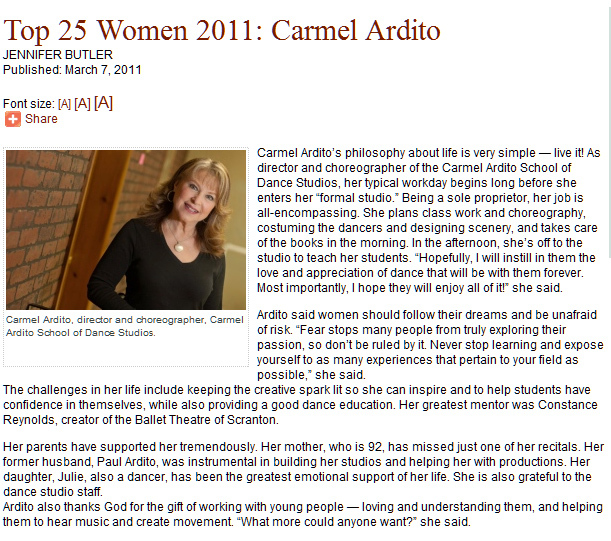 Mrs. Ardito was listed as one of the Top 25 Women in 2011 by the Northeast Pennsylvania Business Journal!